Meet Poppy, the delightful soft toy Rabbit! 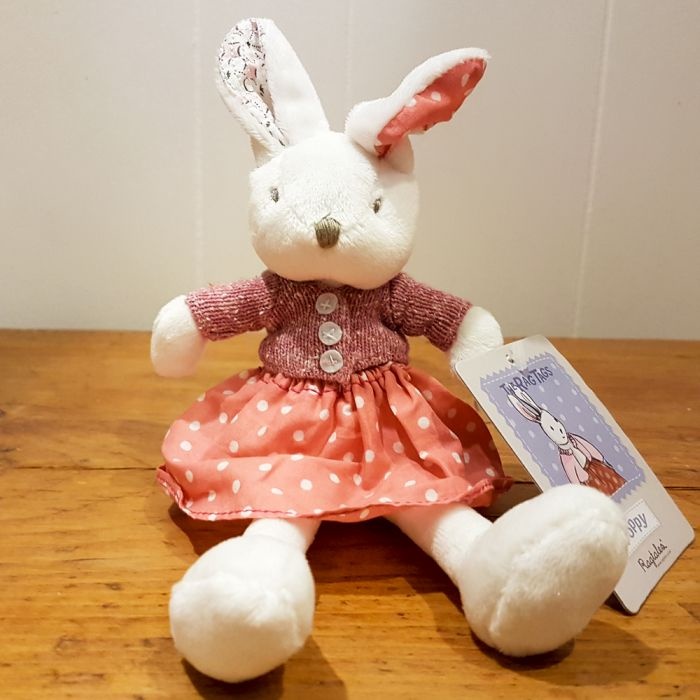 With a white, velour body and embroidered face, Poppy the Rabbit is sweet and soft from her fluffy tail to her patchwork ears. Poppy comes dressed to the highest standards of quality and care in a pretty, gathered spotty skirt and a hand knitted top. Size: Poppy is 21 cm tall. Suitable for birth onwards (as eyes and nose are embroidered) and machine washable at 30 degrees.